Is there anyone alive who has not been magically affected at one time or another by that strange phenomenon called music? Possibly not, but when thinking about music and its power, one is confronted with some interesting questions. What is it that so empowers mere audible tones – tones whose pitches comprise notes which, when effectively time-sequenced, constitute the DNA of all music? How can these “arranged sounds” have such a deep effect on our emotional state? Some might immediately counter, “Music is not to be thought about, music is to be enjoyed!” But curiosity beckons, and so I do think about music and am attempting to learn more about it and its effect on us humans. Why did so many harmonically simple vocal melodies become gigantic popular hits in the 1950’s and 1960’s? I have in mind songs like Tammy (Debbie Reynolds) and Hey There (Rosemary Clooney). When one listens closely, the melodic simplicity is often striking and the lyrics frequently inane, and yet they were wildly popular. What is the essential difference between such tunes, songs that reached top positions on the music charts while selling millions of records and the many also-ran songs that were rarely played? What is it about the Beatles’ music that still appeals to so many? Why is the music of Frederic Chopin so hauntingly beautiful to many people – and I happen to be one of those? There are such things as music “theory” and music majors in college, realms of knowledge that in the past seemed far removed in spirit and application from my engineering background. Although I have always enjoyed most music, it was a chance encounter with Ken Burns’ documentary Jazz that, to my great surprise, opened whole new musical vistas for me (perhaps a future post!). Determined to learn more in detail about the subject, I bought some books on music theory and experienced much confusion, initially. Although music theory is not rocket science, I found engineering calculus easier to understand – really! As with calculus, for music theory to make much sense, one must start with a solid grasp of fundamentals. That was a good part of my problem with music. Did you know that the roots of music theory go back some 2500 years ago to the great Greek “natural philosopher” (early scientist) and mathematician, Pythagoras? It seems that he, too, was fascinated by the sensations of music and sound. He devised a series of what could properly be called physics/physiology experiments to satisfy his curiosity. He fastened a string at both ends (much as in a guitar) and plucked it. Then he did the same with a string half as long and noted that its sonic response, an octave higher (2X), blended pleasantly with the sound of the initial longer string (consonance). Other numerical ratios between two string lengths and their two tones produced similarly consonant blendings while some ratios produced dissonant blendings which sound harsh to the ear. Have you ever wondered what the piano keyboard with its white keys and seemingly random black keys represents in terms of sonic responses? How did it come about that the sonic interval between some white keys is what is called a “whole-tone” while other white keys are a “half-tone” apart? Now, we are talking music theory, and the fun begins…or not. We go no further, here, but to state that my confusion was ultimately resolved by purchasing the DVD video course offered by the Teaching Company called Understanding the Fundamentals of Music, taught by Professor Robert Greenberg. It is not for casual viewing, but it is the best way to gain a solid footing in music theory. Do you consider music a “universal language?” In some ways, perhaps it is – in others, not so much. It does seem that good tunes, fine melodies, and great compositions have the power to coalesce a favorable consensus – to evoke approval over a diverse audience, although there can be cultural barriers. Much Asian music is hard for me to relate to. 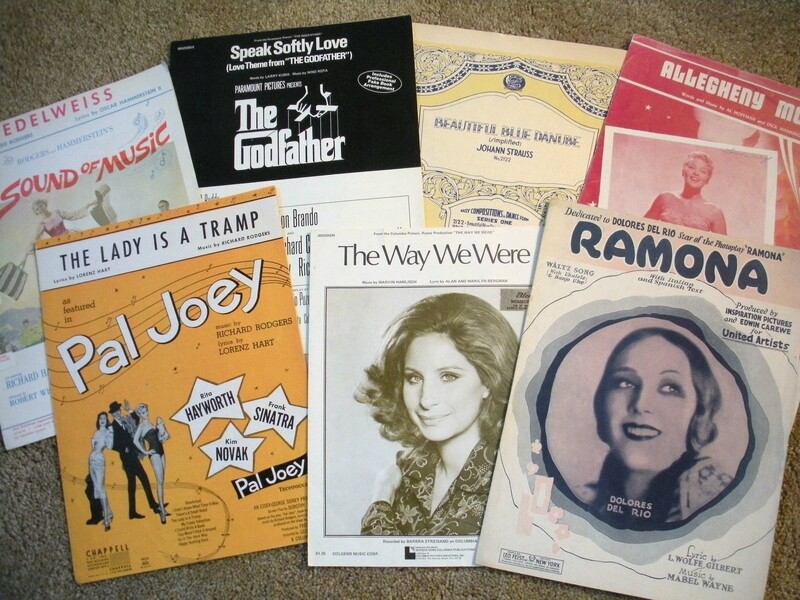 I have learned that “our” music (in the global West) is based on the widely-adopted “Western pitch collection” which is built upon twelve distinct pitches. The use of this twelve-pitch “chromatic collection” goes back some 400 years. The seven pitches of the C scale, do..re..mi…etc. correspond to the white keys of the piano which, along with the five interspersed black keys represent the twelve pitches. It is not the only collection in use around the world. Pitch collections based on five pitches have been used in traditional Japanese music. Arab music sometimes uses a seventeen pitch collection. To reiterate, the Western pitch collection we use is reflected in the physical/tonal configuration of the piano keyboard, specifically, the arrangement of the white and black keys and their tonal responses. Different pitch collections produce different musical moods in their compositions; within a specific pitch collection, the “key” in which the piece is written can also influence the mood-response. What is universal in all of this seems to be the fundamental harmonic discoveries made by Pythagoras many centuries ago. Humans do seem to have brains universally hard-wired to respond favorably, or not, to certain harmonic relationships. Why is this so? At this point, it is time to stop thinking and just accept the musical ramifications; our musical responses ARE literally hard-wired into our brains such that most humans respond similarly to given tonal effects. It is the task of the composer and arranger to take maximum advantage of these facts as they set out to create good music. In my next post, I will consider some other “mysteries” relating to music. For instance, how does one explain the ever-changing “musical taste” of society? 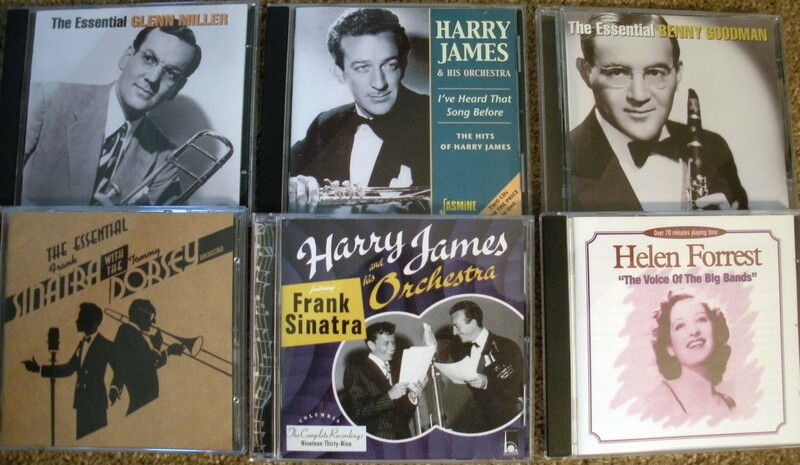 My favorite music is easily the huge book of great jazz/swing numbers played by the famous big-bands of the late 1920’s to the late 1940’s – bands led by the likes of Benny Goodman, Tommy Dorsey, and Harry James. How did that great music with its complex arrangements come to be replaced in the public favor by the simple vocal offerings of the 1950’s (like Tammy and Hey There). And what carried us through rock-and-roll, heavy metal, and whatever it is the young listen to today? I think I finally know the answer after many years of wondering; at least I have an opinion! I am interested in yours, as well. Let us know if this post has awakened within you any dormant thoughts/memories regarding the effect music has had on you. This entry was posted in Everything Else, Music, Relections on Life and tagged music, music theory, pitch collections by Alan. Bookmark the permalink.